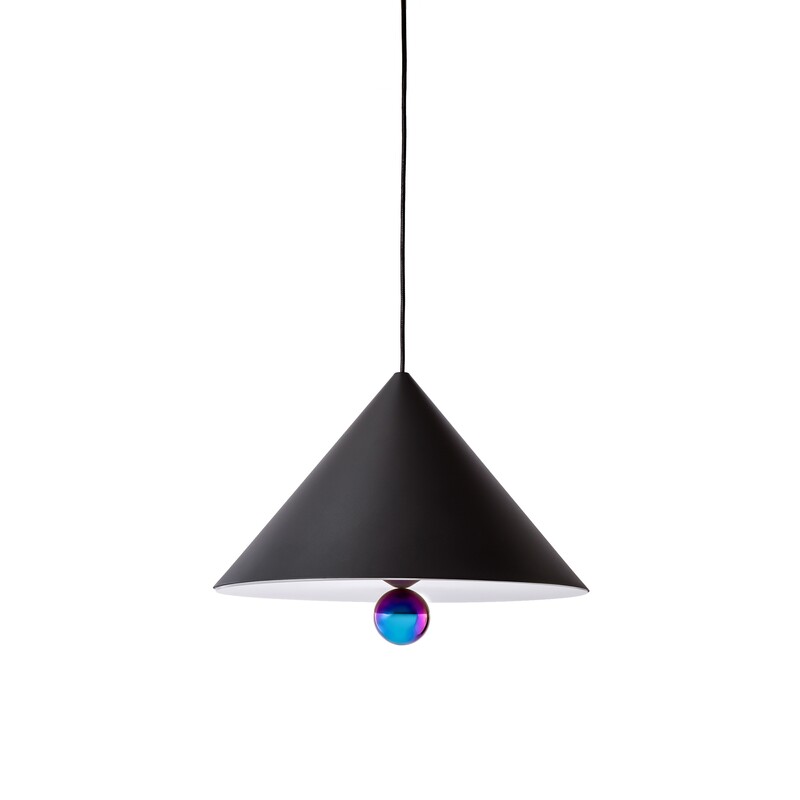 Cherry is a design by the Australian design duo Daniel Emma. 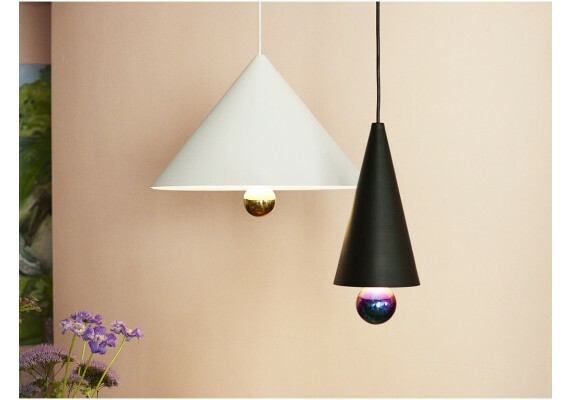 They designed this simple and minimalist aluminium pendant lamp. There is a rainbow-coloured sphere at the bottom of the shade, like the cherry on the cake. 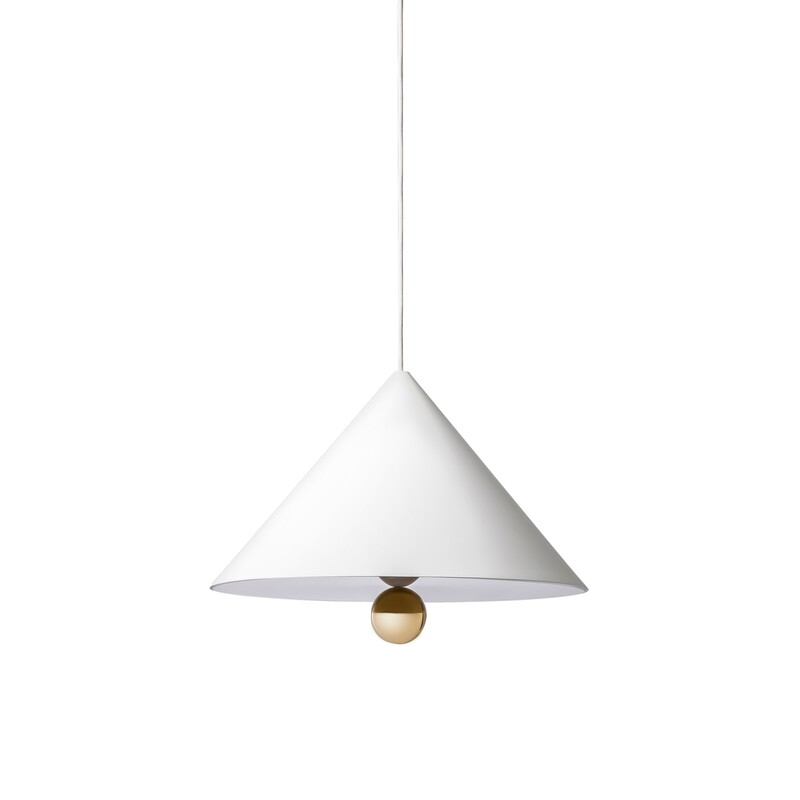 This unique fixture casts a subtle, muted light. Cherry is available in two colours and two sizes. 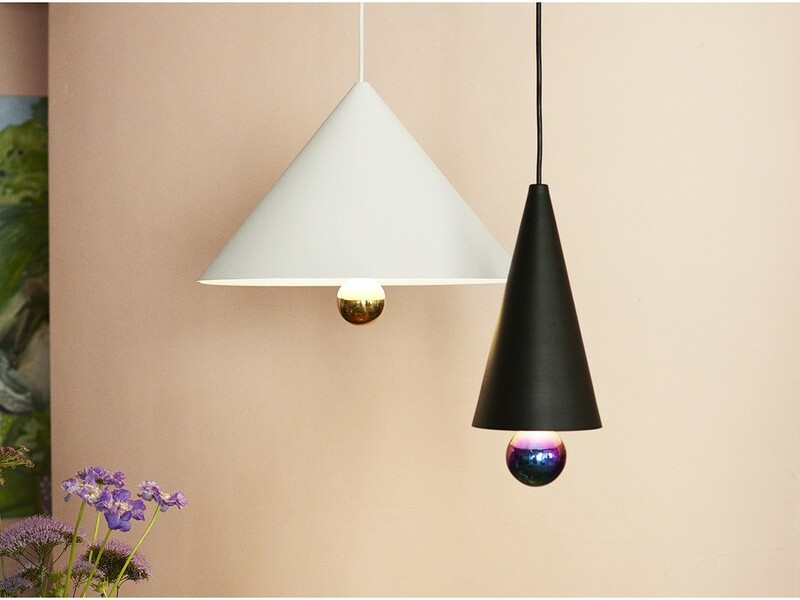 The white fixture comes with a gold cherry, the black one with a rainbow-coloured cherry. Materials: aluminium, granulated epoxy paint, steel with a reflective finish and plexiglass.